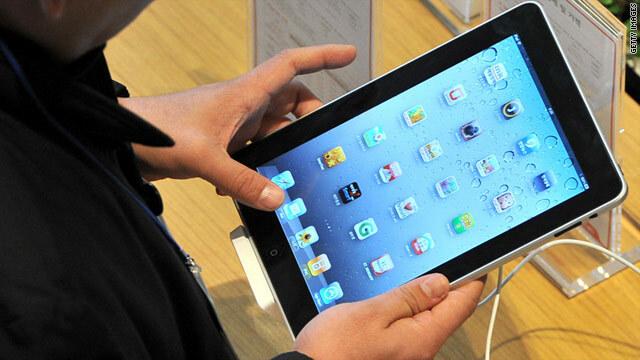 This rumor goes hand in hand with another that claims the iPad 2 will have a much higher resolution screen. (Mashable) -- The next generation of the iPhone and iPad will sport a new version of Apple's A4 chip with a dual-core graphics processing unit that should enable even higher resolutions on these devices, as well as support for HD (1080p) video playback, AppleInsider reports citing sources familiar with the matter. More precisely, the chip in question should be a dual-core SGX543 GPU from Imagination Technologies. The rumor goes hand in hand with another rumor that claims the iPad 2 will have a much higher resolution screen than its predecessor, although the jury is still out on the exact number of pixels it'll have. Mashable: Verizon iPhone available late January?